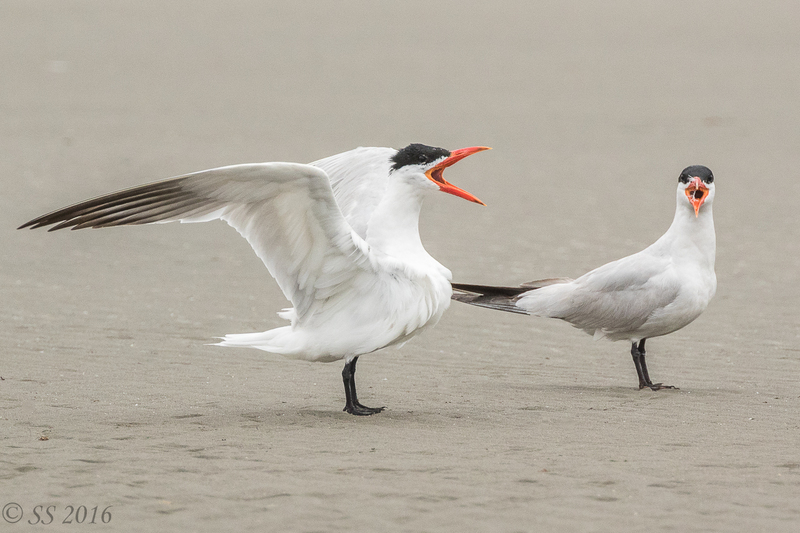 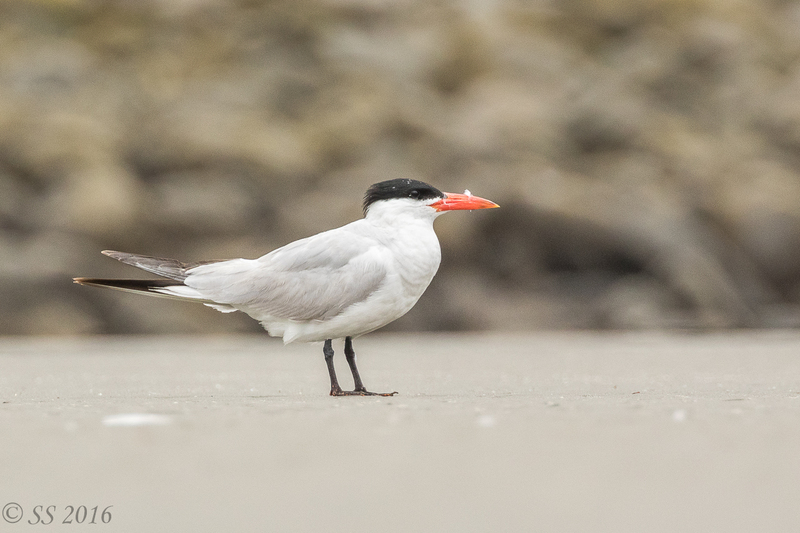 Caspian Terns at Seaside Cove, Seaside Oregon. 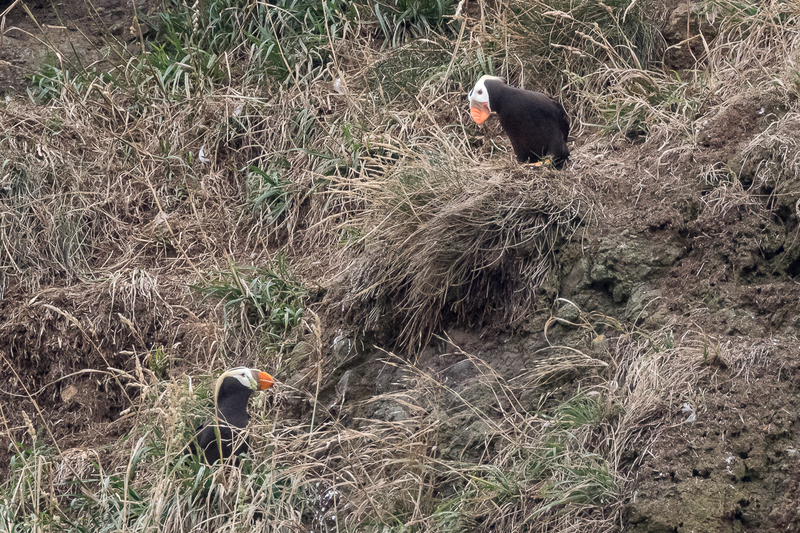 Tufted Puffins at their burrow on Haystack Rock, Cannon Beach, Oregon. 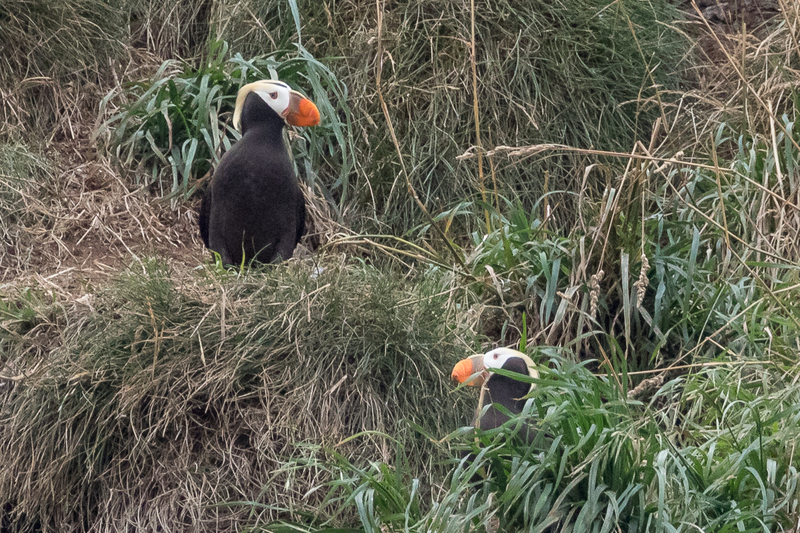 The puffins leave for the open ocean in August, so we were quite pleased to be able to see them before they departed. 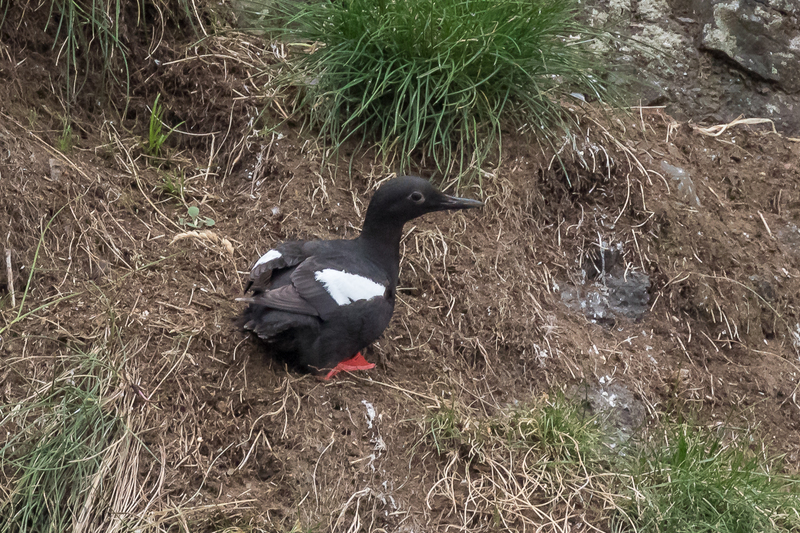 Pigeon Guillemot at its nesting site, Haystack Rock, Cannon Beach, Oregon.